The select committee of which I am a member produced a report recommending a major shake-up of legislation relating to dogs and, most important of all, a new focus on tackling irresponsible breeders of dogs. The problem is huge and has been getting worse. The number of stray dogs picked up each year now stands at 120,000. Hospital admissions for dog-related attacks have doubled in the last ten years to over 6,000 and there has been a sharp increase in attacks on guide dogs. 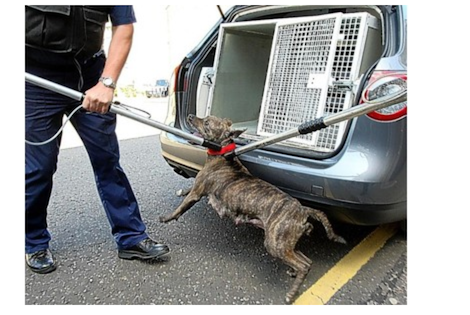 Meanwhile, the number of illegal dog fights reported to the RSPCA jumped to over 300 last year and the number of so-called "status dogs" seized by the Metropolitan Police now stands at over 1,000 a year. The problem is out of control and is being driven by a trend or fashion among young men involved in gangs to have an aggressive dog by their side. Many also think they can make a lot of money by raising puppies among popular "status dog" breeds such as mastiffs and Staffordshire bull terriers but they often don't know what they are doing and do not give the puppies the care they need. Puppies need to be socialised and treated well in the first months of their life. If they get a bad or neglectful start, they will often not recover. All too often, people buy puppies that have not been looked after properly and then, when they become fully grown, the owners find that they are unable to handle them so they just abandon them. Speak to any dog charity and they will tell you that they are inundated by abandoned Staffordshire bull terriers. Because of the way they were treated as puppies, they are often judged unsuitable to re-home with families so, in many cases, they have to be put down. It is an appalling tragedy and high time tougher action was taken. The first thing we need to do is change the law so that an attack on a guide dog is regarded in law as an aggravated offence and similar to a dog attack on an individual. At the moment there is a lack of protection in the law to do anything about such attacks but they cause huge distress to the blind or deaf people who depend on their guide dogs. Secondly, we need to tackle back-street breeders of status dogs by requiring anyone breeding more than two litters of puppies in a year to be licensed with the local authority. At the moment the law allows people to breed up to five litters of puppies a year (roughly 50 dogs) without any kind of regulation and they are often neglected or even trained to be aggressive. Let's crack down on these terrible back-street breeders. Thirdly, we need to make sure the courts have the sanctions they need to take action against irresponsible dog owners and have the power to ban people from breeding dogs. The introduction of Dog Control Notices similar to those used in Scotland would allow a broader range of sanctions which can be tailored to an individual case. Finally, we need to do something about the ease with which people can buy puppies on the internet. Websites like Gum Tree have a lot to answer for because many of the pets advertised have not been treated properly. We need to get a clear code of conduct in place so that bad breeders are driven out of business. George Eustice is a British Conservative Party politician, who was elected at the 2010 general election as the Member of Parliament for Camborne and Redruth.